StreamingStar - How to register URL Helper? How to register URL Helper? NOTE: DO NOT add any other character so much as spacebar. 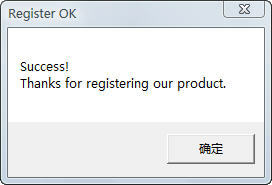 (4) Click the <Register> button, and show "Success!"